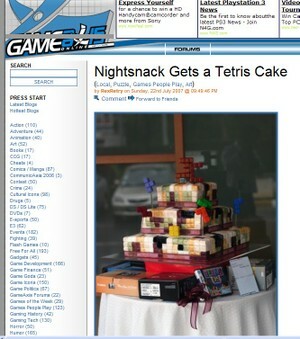 gameaxis.com was the first to feature the Tetris cake on the net. And then, the story was taken up by kotaku.com . 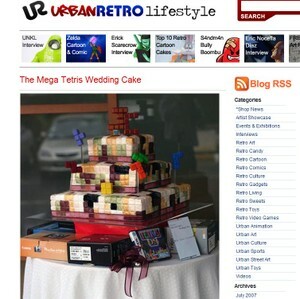 To date, at this site, the cake story has been viewed over 6, 000 times, and counting!. 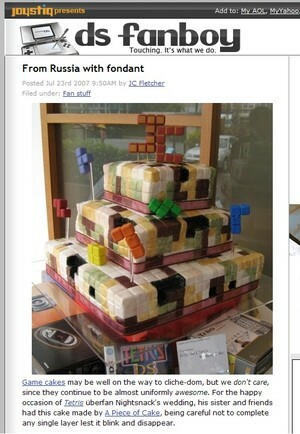 And from kotaku.com, it pretty much spread around the net!!! 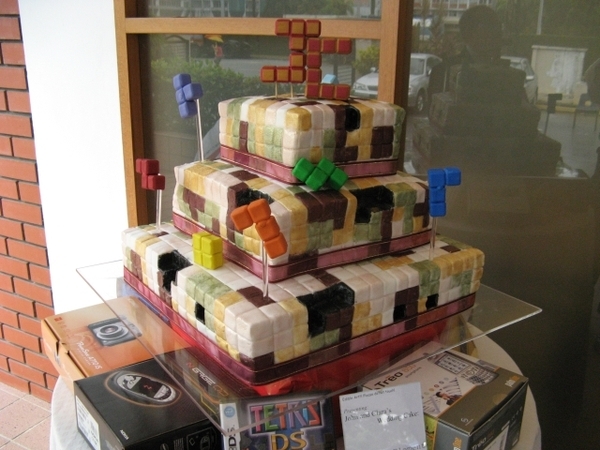 Well, as for the reviews and comments on those sites, I'll summarize them as, it's a georgeous cake, totally unique, some love it but not as their wedding cake. And the biggest compliment of all came from a guy who works with LOL productions.... 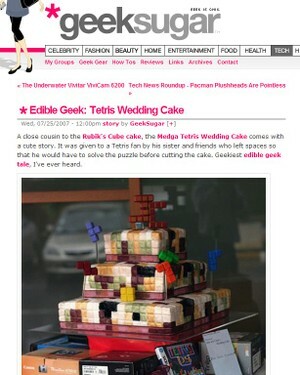 He made a montage of the cake, in his words, "to cheer the couple for having such a wonderfully geeky cake" . :O) His montage is totally geeky too. So, I guess the success of the cake was due to a good, qwerky idea, an effective design to carry it and the boldness to finally execute the plan. That made it a special, one of a kind wedding (and wedding cake.) As I had mentioned it before, kudos to young Singaporean couples who are willing to be less traditional and expressive of their personalities! 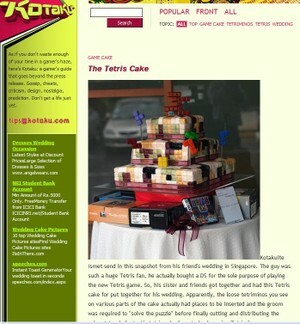 As for myself, I'm pleased to have taken "customized" and "personalized" wedding cakes to an all new level.